CODE: FS 769 C3 REDUX. 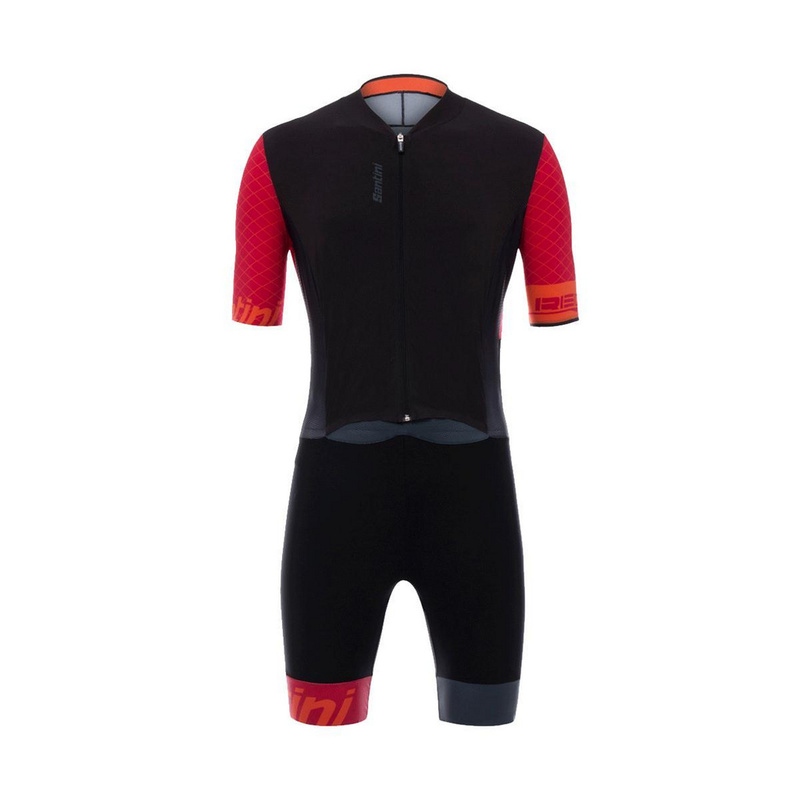 SUPER COMFORT State of the art C3 chamois from multilayered foam, breathable layers and gel insert. 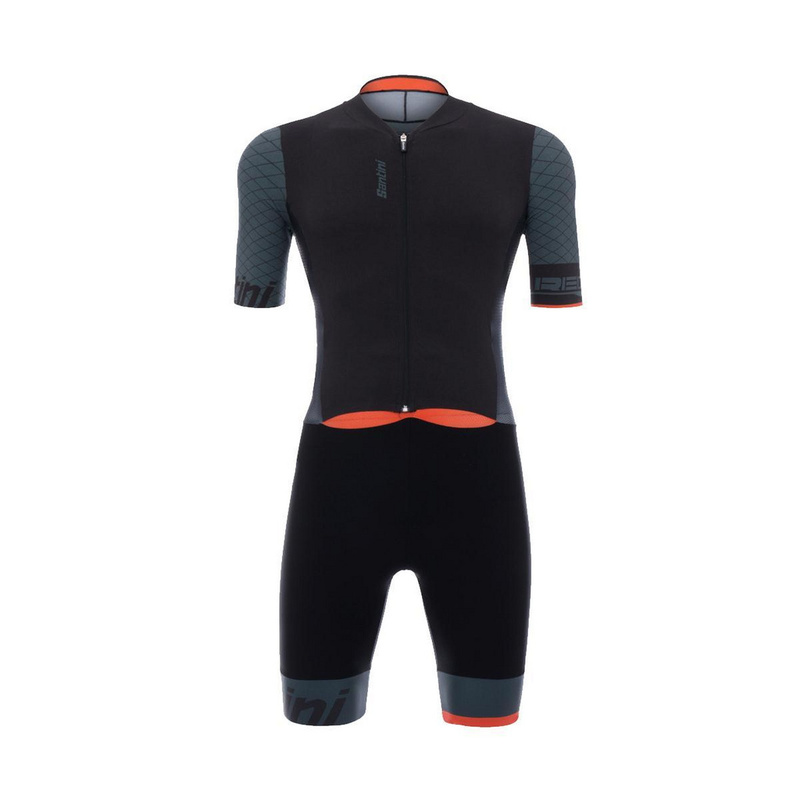 Fit – This super aerodynamic speedsuit is constructed with the ultimate combination of performance fabrics to achieve a tailored-fit. The perfect shape is maintained by elastic leg grippers with dotted silicon grips on the inside of the legs. Performance – The upper section is made of Prey fabric, lightweight, extremely aerodynamic and UV resistant (UPF 50+) with Flow inserts. An engineered rough surface of the fabric is used in the point of delamination of the air flow to reduce drag. The cuffs are thermo-welded and the laser cut back pockets give you storage without sacrificing speed. Designed specifically for time trials. Wind tunnel tested and proven. Comfort – The C3 chamois is one of the most advanced chamois in the pro peloton. Carved from foam without any seams or stitching, it gives incredible shock protection, general cushioning and breathability. The legs are made from Fitter, a compressive fabric that reduces muscle stress thanks to its slightly compressive effect. 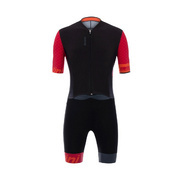 It’s also abrasion resistant so you will avoid the discomfort that you get from some other speedsuits. Durability – We select only the highest quality European fabrics. Made in Italy by our highly skilled production staff. Each garment undergoes vigorous quality controls and will last a lifetime.